Founded in 1991, Dr. Moss' office is dedicated to providing expert care and treatment in the specialty of Otolaryngology in a fully-equipped facility. Services include highly sophisticated testing and management of routine and complex ear, nose and throat disorders, head and neck cancer and facial plastic and cosmetic surgery. Through a variety of experiences in the United States and abroad, Dr. Richard Moss has gained extensive knowledge and skill in this field, and is regarded by his colleagues as a superior surgeon and a considerate man who is committed to providing compassionate quality care to his patients. Dr. Moss is privileged to be assisted by his well-qualified staff. The team members were selected with particular attention to their professional expertise, integrity, and warm personalities. They will work closely together to provide you with the most prompt and effective care possible. The staff of Dr. Moss welcomes you to the office and looks forward to helping you with your health needs. Dr. Moss and his staff believe that health care should be a partnership between patient and physician, and they encourage your questions, comments and concerns. The office is open Monday through Friday. To schedule an appointment, contact Dr. Moss' office at (812) 634-6666. In case of an emergency, if you cannot reach Dr. Moss' Office, please page Dr. Moss through Memorial Hospital switchboard at (812) 482-2345 or report to the emergency department directly. 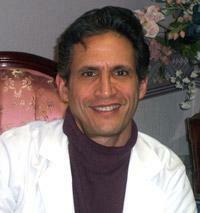 Dr. Moss uses the latest surgical techniques such as microscopic, endoscopic, and laser surgery. Surgical procedures performed include tosillectomy, adenoidectomy, tubes in the ears, endoscopic sinus surgery, nasal surgery, UPPP (for snoring), endoscopy and laser surgery for the larynx (voice box), esophagus and trachea, and microsurgery of the ear. Oncology surgery is available for treatment of tumors of the oral cavity, throat, larynx, thyroid, salivary glands, nose, sinuses and neck, as well as cancers of the skin. Our professional services are rendered for your benefit and are filed for you to your insurance company. We request payment of copay & deductible at the time of service. If you have any questions about payment and insurance or need assistance please feel free to contact our office at (812) 634-6666. We're happy to file your insurance claims and will be your advocate with the insurance companies. Because insurance plans vary greatly, we advise you to consult your insurance carrier to determine what services are covered before seeking any type of treatment. Dr. Moss is a participating member of Medicare, Sagamore, Patoka Valley, United Health Care, Deaconess Health Plans, Blue Cross-Blue Shield, and Champus. We also accept Medicaid. Dr. Richard Moss is located in Suite 208 of the Medical Arts Building directly behind Memorial Hospital and Health Care Center in Jasper, Indiana. The office is accessible to many surrounding communities and is convenient for the testing and surgical facilities of the hospital. Diagnostic procedures such as x-rays, laboratory tests, MRI and CT scans can be arranged easily and quickly. Dr. Moss also has an office in Washington and can be seen there for your convenience. He performs surgery in both locations.